Candice Reed – Australia’s first baby conceived by in vitro fertilisation (IVF) – is now in her late 30s. Since her birth in Melbourne in 1980 more than 200,000 children have been born here as a result of IVF-type treatments. Around 13,000 babies were born in Australia from related treatments in 2014 alone – roughly one in every 22 children. Despite those figures, and decades of research, IVF still has limited success rates, confounded by age and a multitude of other factors. One of the biggest challenges of the often heartbreaking process is selecting a viable embryo to begin with. At present that is usually done by eye, and based on the good judgement of the embryologist: it’s manual, subjective and imprecise. Could AI do better? An Adelaide company founded earlier this year believes that artificial intelligence could achieve higher success rates than human clinicians in the selection of viable embryos resulting in live births. “IVF is an incredibly difficult process for people. We feel for people who have been through the devastating emotions of unsuccessful IVF,” co-founder of Life Whisperer Dr Michelle Perugini told Computerworld. Life Whisperer was launched in February by husband and wife team Dr Michelle Perugini and Dr Don Perugini – who sold predictive analytics firm ISD Analytics to Ernst & Young in 2015 – and co-founder Dr Jonathan Hall. 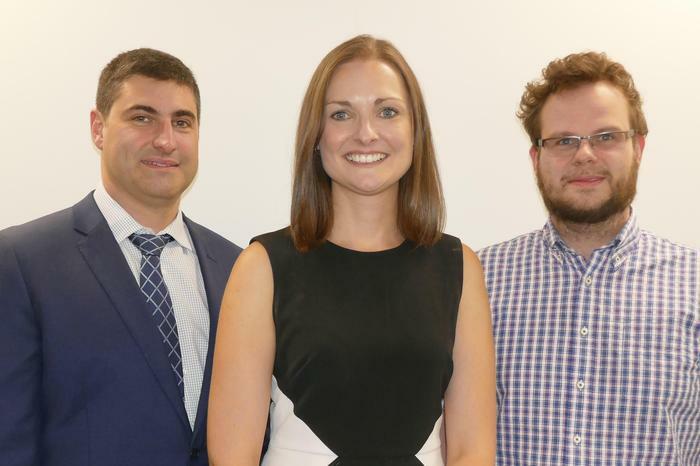 In July the start-up – based at the University of Adelaide’s ThincLab incubator – announced a commercial agreement with the ASX-listed fertility clinic Monash IVF Group and its subsidiary Repromed, and gained access to thousands of embryo images in order to train and validate its image analysis techniques. “That was a huge bonus because they obviously are the custodian of the data that we need to do this analysis and build up these models, so that really expedited the process for us,” Michelle Perugini explains. There are a number of methods to select embryos for the IVF process. The least invasive and most common is by identifying certain tell-tale features of an image of the embryo to assess its health and viability. “There are some things we know from past research that have been shown to be important features. And we've codified algorithms that represent those features. The other part is, via a deep learning system that basically trawls through thousands of past images of embryos and knows what the outcomes of those embryos are, actually identifying new features and classifying them to come up with a selection model that you can apply,” Perugini explains. “It's really a combination of a whole range of different techniques that we're using to come up with the best possible selection model,” she adds. Once Life Whisperer’s models have been validated – an ongoing process that is “looking really good” Perugini says – the aim is to offer the technology as a ‘drag and drop’ cloud-based application to clinics. "They'll get an instant report using a validated, evidence-based model and that will give them basically an assessment of which embryos they should implant and why. It's a scalable product that can be put in any clinic in the world,” says Perugini. "What's really important is that it doesn't impose any significant process change for them. They're already taking images. They were doing that manual assessment under the microscope. All they need to do is drag and drop those images." The use of AI to analyse medical imagery has huge potential and has been the focus of numerous studies. In June researchers at University of Adelaide applied deep-learning image analysis techniques to CT scans of major organs and tissue in patient chests to determine their lifespans. The platform underpinning Life Whisperer could be used for other medical diagnoses that are based on imagery, Perugini said. “We built a general infrastructure that can actually be used to build accurate, valid models for other medical applications leveraging the same base technology and bringing together the same types of techniques but for a different medical diagnosis application. So absolutely we think we can leverage this into many different use cases within the medical diagnostic area. And that's certainly our intention beyond fertility,” she explained. The company is now actively seeking Series A investment.